Miradore Online mobile device management (MDM) solution helps you ensure mobile device and data security as well as data compliance across the organization. Easy ways to protect company data include separating business and personal use, enforcing safe passcodes and screen locks, and allowing your platform to encrypt all confidential content. Strong screen lock passcodes help protect mobile devices and data. 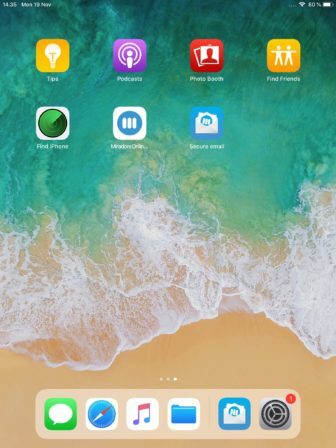 Miradore Online enables you to deploy a passcode policy in all managed devices so that passcode usage is not left for the device user to decide. The policy enforces the users to set a passcode that meets your pre-defined complexity requirements. One of EU’s data protection requirements (GDPR) is to wipe sensitive information from devices when they are lost or stolen. With Miradore Online, you can remotely and selectively wipe company-related information while leaving personal data untouched. This is particularly useful if your company has a BYOD policy and both personal and business data is included in the devices. Miradore Online enables you to set storage encryption requirements on the managed devices with the users’ consent, depending on the manufacturer’s support. Encryption helps protect data storage in the event of theft or confiscation. 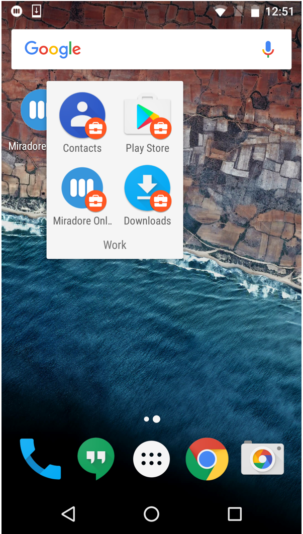 Miradore Online allows work profiles on Android devices to create a secure container for work data that is separated from private applications. By enabling work profiles, organizations can manage meaningful business data and applications but leave other content on the device to be controlled by its user. As an administrator, you’ll control the work profiles, and work-related items are distinguished from personal applications by labeling. You can remotely manage the work containers and deploy application silently. Work profiles are particularly important if your company supports the use of personal devices at work (BYOD). For example, you can make sure that work-related contact information does not leak out via private instant messaging applications. Miradore Secure Email application provides access to Exchange email and contacts and allows users to store business data, such as contracts and other attachments, inside the app, access data via a secure browser and scan documents with a camera. The data and contacts are protected inside the app and cannot be accessed by other apps, such as social media messengers, unless expressly authorized. This separation of business and private data is key with personal-use enabled work devices. For added protection, all emails, contacts and other data are encrypted inside the app and can be protected by a dedicated passcode. Miradore Secure Email application can be configured and removed, including all data, remotely. Miradore Online’s lost mode security action for iOS helps secure managed devices when they are lost or stolen. When lost mode is enabled on a device, the device is locked and can’t be used until it is found and lost mode is disabled by the administrator.